I wasn't sure a visit to Cars Land at Disney California Adventure Park would live up to Max's expectations. Sure, it looked amazing in the photos and videos we previewed online, but for Max going there was the equivalent of a pilgrimage to the Holy Land. 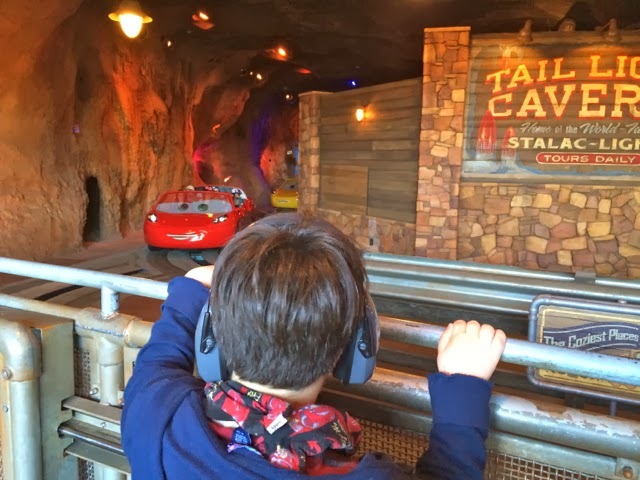 Let me just say, I think Max heard the angels singing (with Lightning McQueen's motor doing back-up vocals). 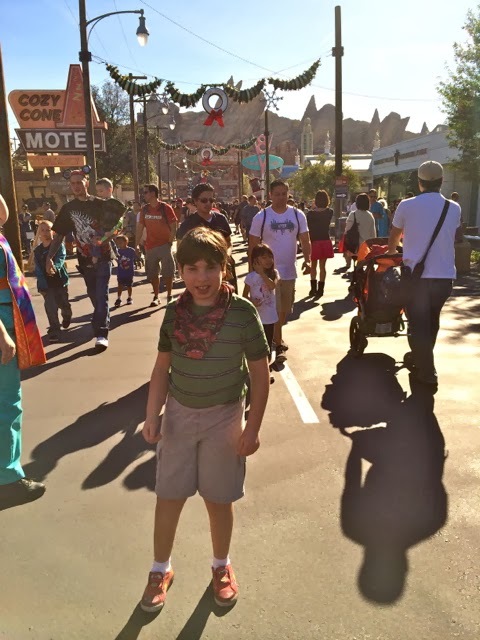 We were at Disneyland for four days. 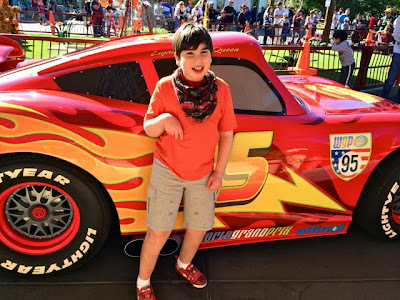 Max and I spent a good part of it at Cars Land, and we made use of the new Disability Access Service Card (more on that, and our experiences at the rest of the park, next time). 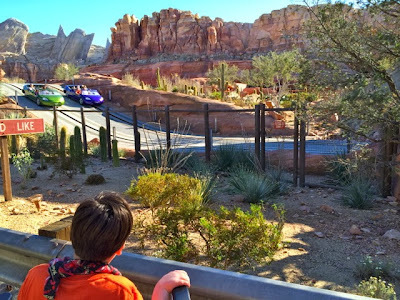 Cars Land, all 12 glorious acres of it, is basically Radiator Springs come to life. All the action takes place off the main street, Route 66. 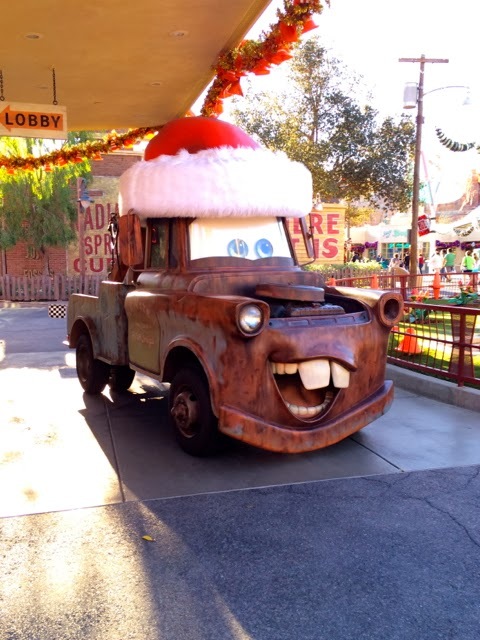 Cars Land looked completely holiday festive, including a Christmas tree decorated entirely in hubcaps. There's a whole lot of attention to detail, like the erratic blinking yellow traffic light (as in the movie) and patches of taillight flowers. Lightning rolls up every hour or so to the Cozy Cone Motel (he alternates with Mater). Max kept pointing out that it was "Sally's hotel." 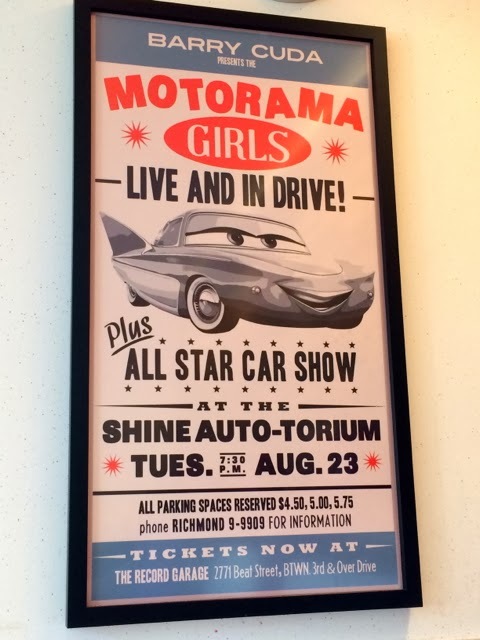 This is how it went when Max met Lightning; listen closely at the end for his amazing enunciation of "McQueen!" 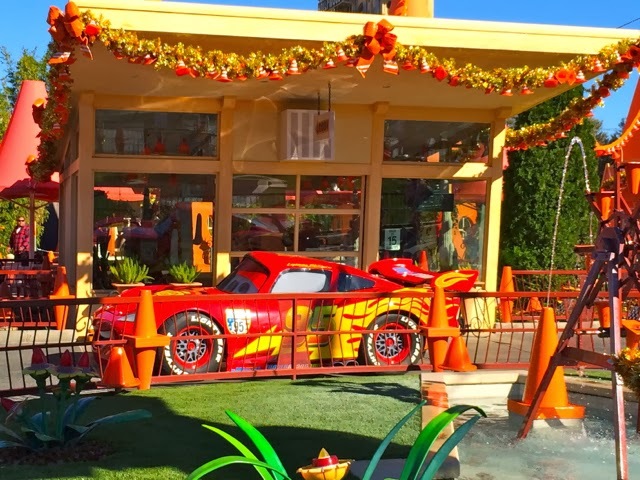 Lightning McQueen says all sorts of charming stuff like "Smile like you won the Piston Cup" and and "I have an idea, why don't you put me on your holiday card?" If you high-five the headlights, they flash. Sometimes, Max was content to just walk around Lightning, gazing upon him in awe. The most we ever waited on line to see Lightning was 15 minutes and Max was fine with it because he could keep his eyes on him the entire time. The hard part was tearing him away when his turn was done. 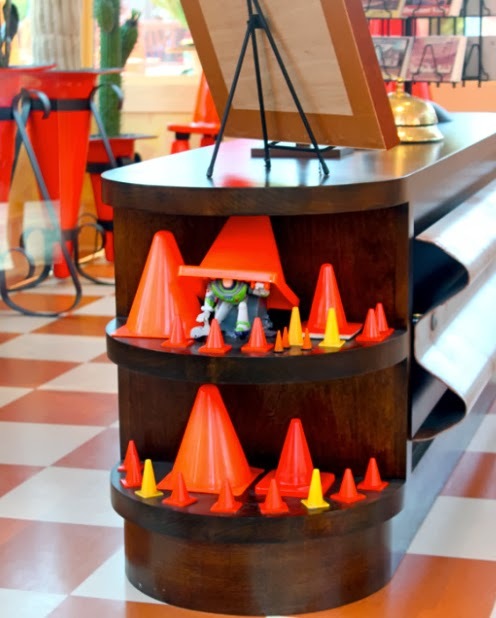 You can't enter Sally's office, but if you peer through the windows you'll see cute stuff, like a rack of Radiator Springs postcards and Buzz Lightyear peeking out from beneath a cone (reminiscent of the scene in Toy Story 2 when he crosses a road). Mater's my fave (don't tell Max). He says stuff like "Welcome to Radiator Springs, the cutest little town in Carburetor County!" and "Hey! I just filled up at Fillmore's, I'm all gassed up now." 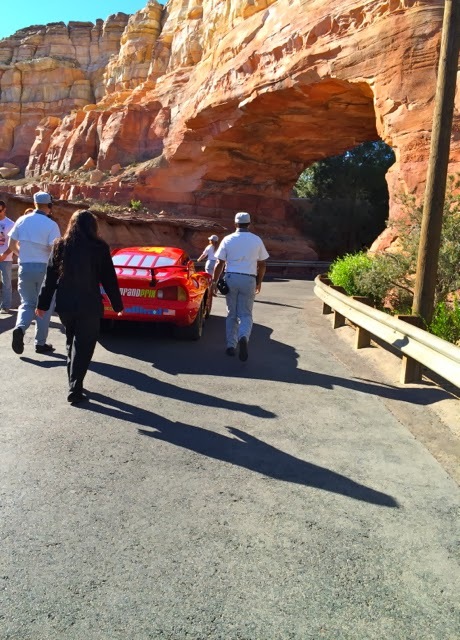 We had to follow Lightning McQueen back to where he "lives." Then we had to wait for him to come out again. Thankfully, I had packed a lot of patience. Cars Land looks extra great lit up at night, with all the neon signs. 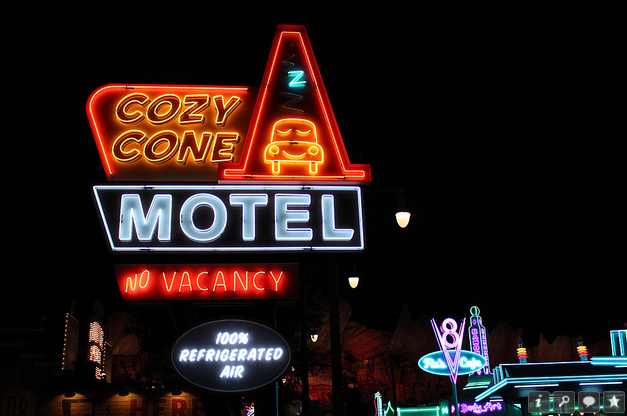 Luckily, Max didn't insist on sleeping at the Cozy Cone Motel, which would have been impossible given that nobody can and besides, there was no vacancy. 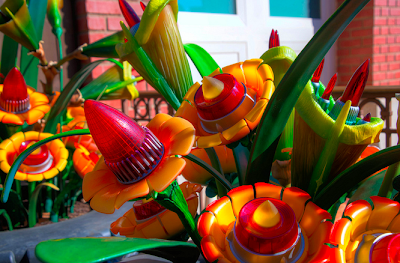 Cast members handed the kids buttons; you can also request them at Flo's, Fillmore's and other retail locations. No Lightning McQueen one just yet. Hello, Red! He squirts water. 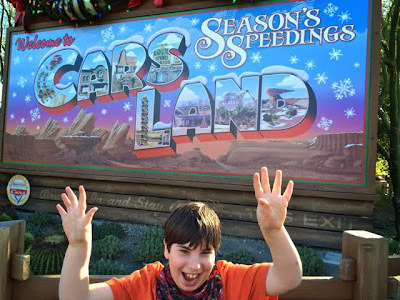 Cars Land has three rides. 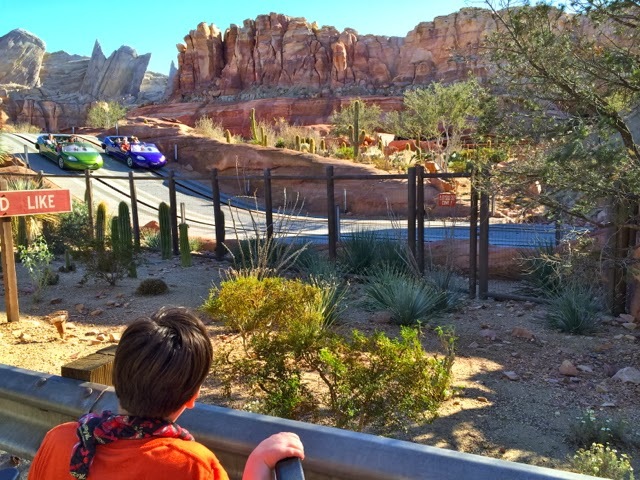 Radiator Springs Racers, one of Disneyland's most popular rides, proved too fast for Max (his motto is not "I am speed"). Sabrina and Dave got to go and she declared it "so cool" and "very fun." Basically, two six-person cars go for a scenic ride in the own then race side by side through Ornament Valley. This is also a good recreation of how it feels to drive on the California freeways. 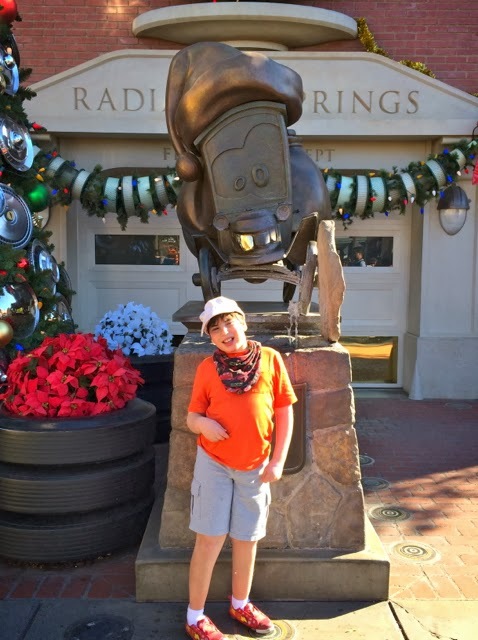 Max was just as happy to watch; we took a peek at the ride's exit. The rock peaks of the Cadillac Mountain Range represent Cadillac fins from the fifties and sixties. 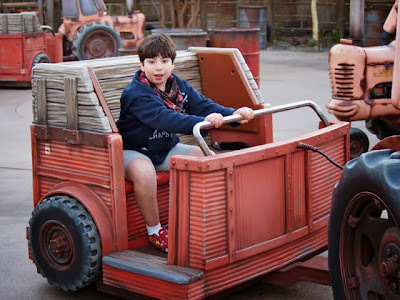 Mater's Junkyard Jamboree. 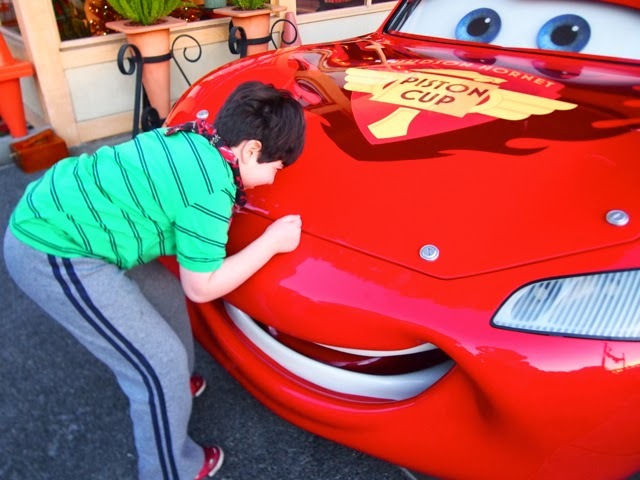 The cars whipped around a little too fast for Max at first, but then he got into it. 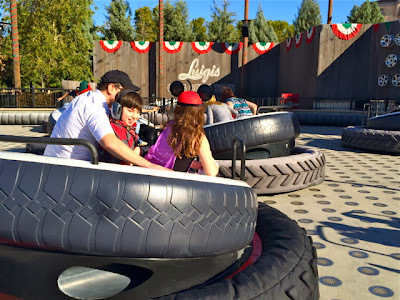 Luigi's Flying Tires: Max's fave. 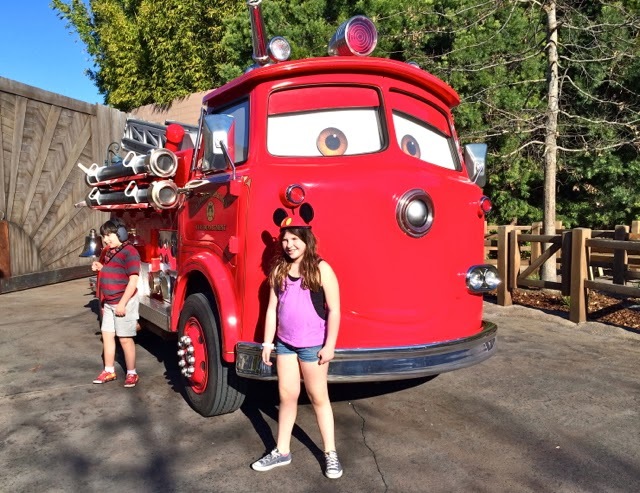 It's slow-moving—pretty much the opposite of a thrill ride—so it's perfect for kids who don't like life in the fast lane. You steer the tire by shifting your body weight in the direction you want to go. 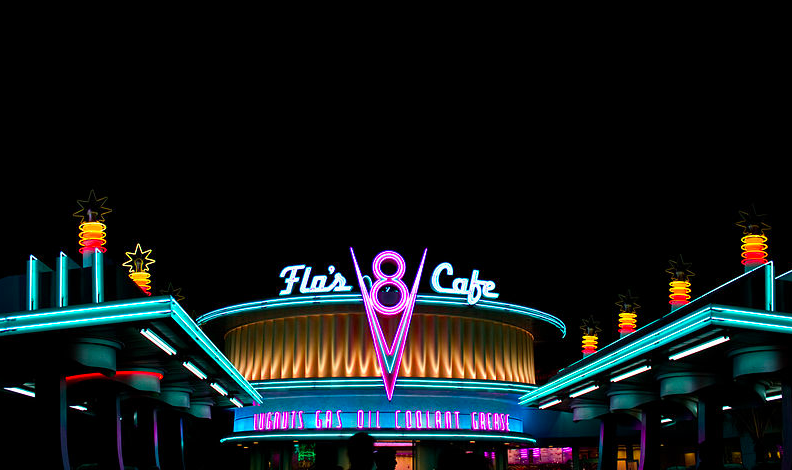 We ate at Flo's V8 Cafe several times, which is like a fifties diner with gourmet comfort food. The prices are reasonable and if you go at around 11:30, it's not at all crowded. Of course, Max had macaroni & cheese. Sabrina liked the Citrus Turkey Salad. Dave and I loooved the Chardonnay. Max was totally amused by this poster. Gas pumps outside of Flo's. 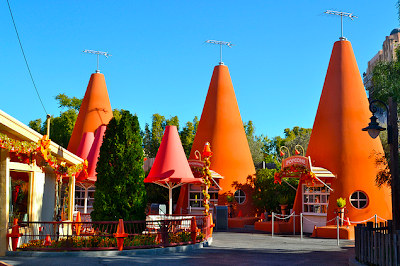 Each of the "rooms" at the Cozy Cone Motel is a concession stand offering a different snack: soft-serve ice-cream; Churro Bites; savory eats in edible bread cones including Chili Cone Queso; pretzel bites; and Popcone (flavored popcorn), along with unique drinks like Red's Apple Freeze (frozen apple juice, toasted marshmallow syrup and passion fruit foam = yum). Fillmore's Taste-In has fruit, snacks, bottled water and juices and a groovy hippie vibe. 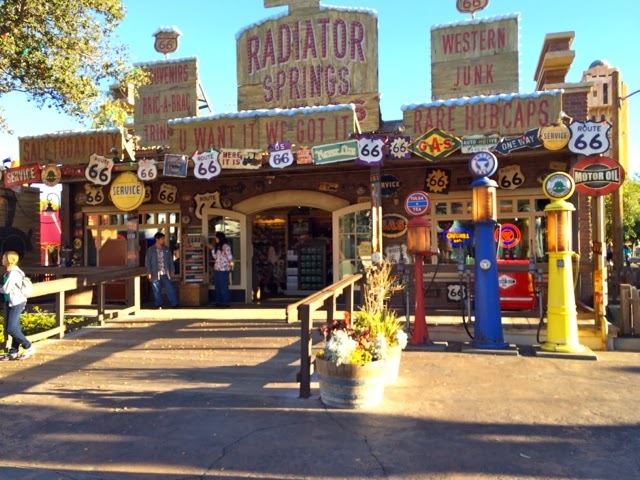 Radiator Springs Curios (a shop owned by Lizzie in the movie). 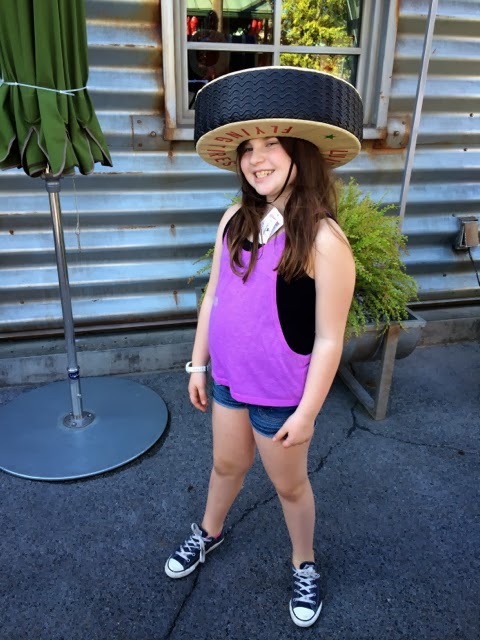 Styling at Sarge's Surplus Hut. 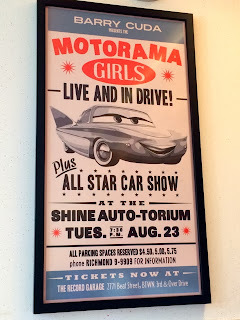 It had Cars merchandise Max did not already own (shocker! ); he was satisfied with a book (Cars 2: The Essential Guide), a Lightning piggy bank and a Lightning t-shirt (phew). Max did not want to miss any of it. Max had a Cars-tastic time. 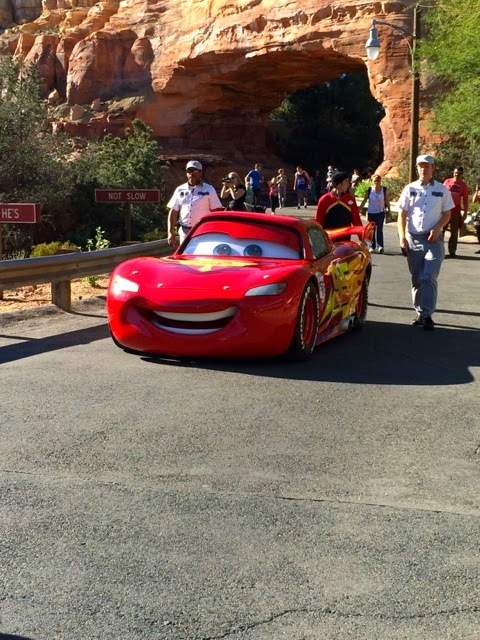 The highlight was definitely hanging out with Lightning McQueen, and stalking him, but he very much enjoyed ambling around and taking it all in. 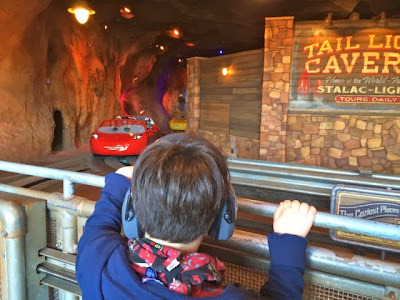 Although the place was packed, to be expected when you visit during the holidays, Max had his trusty noise-blocking headphones and he was under Lightning McQueen's spell, so he did just fine. Max has been telling me that he'd like to move to Cars Land. 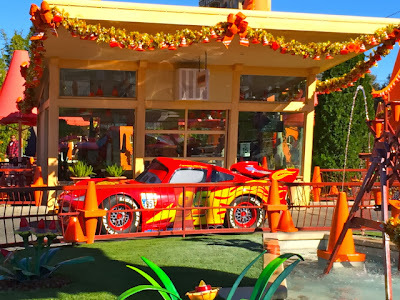 When I remind him that the Cozy Cone Motel isn't actually open, he says that he'd sleep in Lightning McQueen's back seat. I'll bet he would. Coming up next: Our experiences with Disneyland's new Disability Access Service Card and the rest of the park. Disneyland provided complimentary media admission, but the opinions and joy expressed here are our own. Looks like you guys had a great time! Happy New Year!!!! Great post! 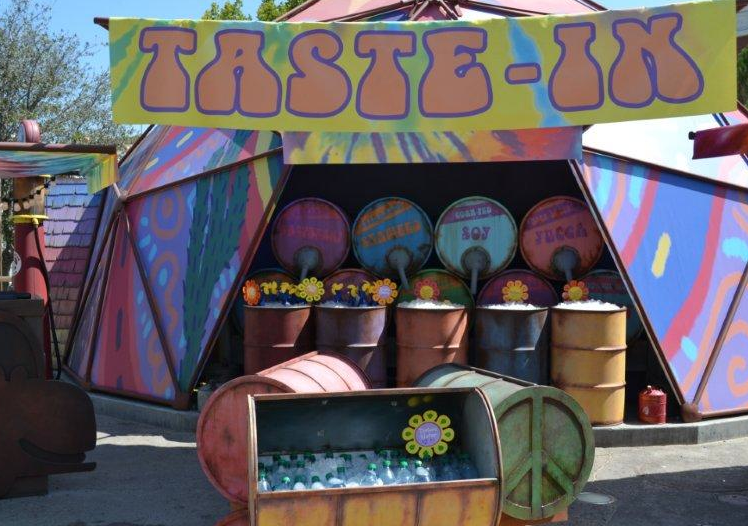 I heard it was awesome- and cannot wait until my babe is old enough to want to go!!!! Looks like Max had a ball if only everyone was this easy to please. Seems like he had plenty of fun. I'm sure my stepson would as well. 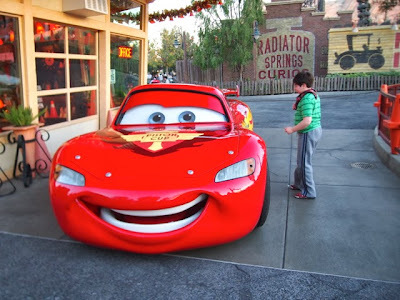 Seems cars has become what Toy Story was to me as a kid. Wish I could make it out there one day! You look like you had a fantastic time! You realize you will never be able to top this!!! Max making a pilgrimage to his own personal Mecca! And at such a young age! 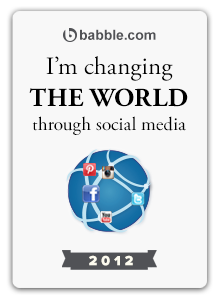 :-) I'm glad it turned out to be everything you could have hoped for, and more. I am so glad that Max loved it. I knew he would. I am anxiously waiting on your opinion of the DAS. 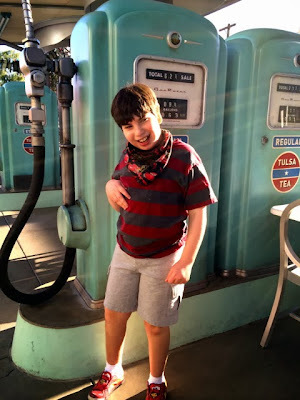 I am a TA plus Mom to a nonverbal son. I have heard so many horror stories about it. I know you will give a honest opinion. 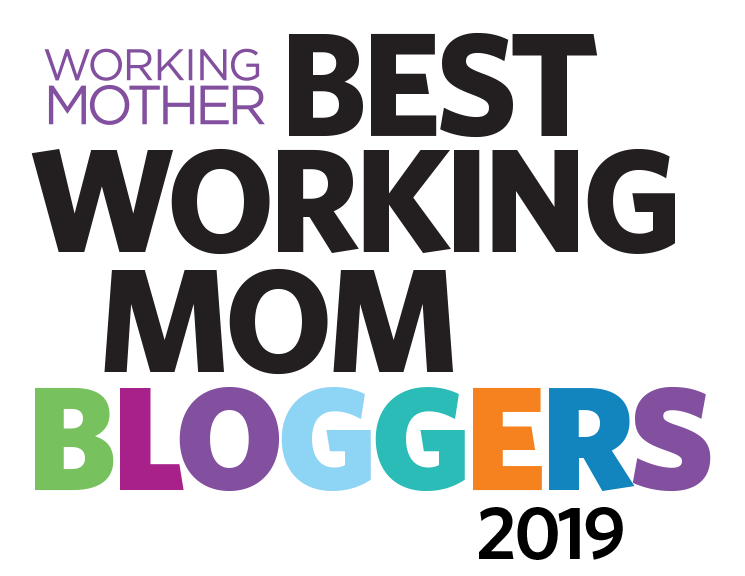 Hi Ellen, my name is Juli and I also have a blog in wich I report my experience with my special daughter: www.specialkidspecialmom.wordpress.com . I love your blog and I was very happy with Max adventure to Cars Land. 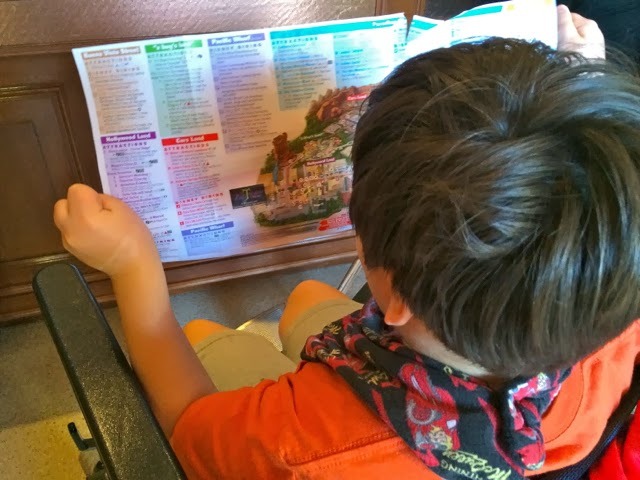 We, brazillians, are fascinated about Disney and the paris. We also went to Disneyworld in Orlando last year. 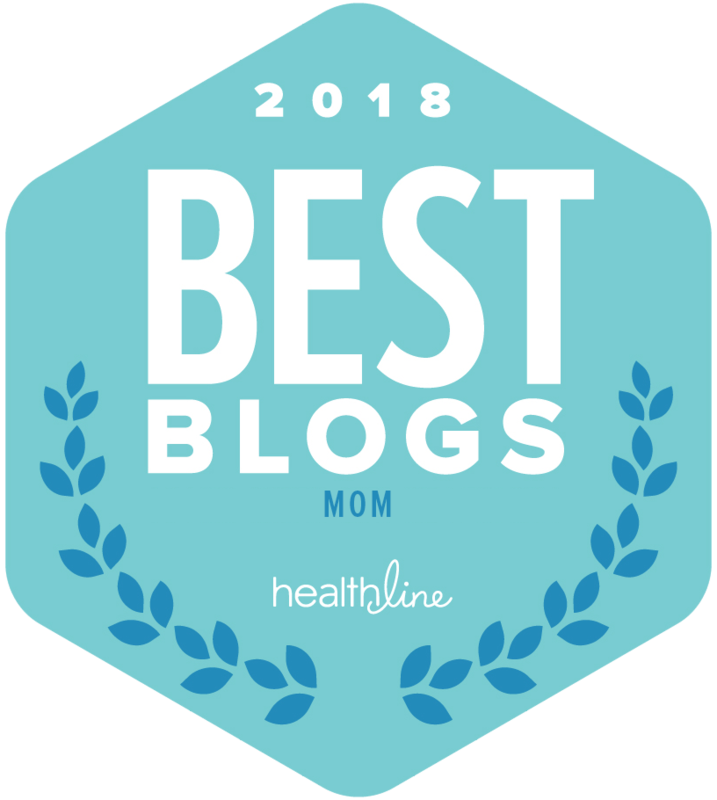 Can I reply this post in my blog or put a link to this, I think that a lot of parents with special needs children will be interested in this post and we'll become a huge fan of yours. I don't know you, neihter Max, but I cheered for you!!! Sorru about my english. Go Max!!! 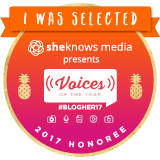 Feel free to link to this, of course! 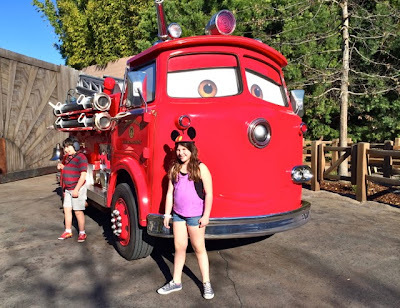 How was your experience in Orlando?